John O’Dowd will be back behind the wheel of a Maximum Motorsport Subaru WRX STI this week. But unlike previous events this year, he won’t be competing on gravel. With a long break in the WA Rally Championship, O’Dowd, who currently leads the series, has taken the opportunity to compete at the ‘Make Smoking History’ Targa West rally, which starts next Thursday. 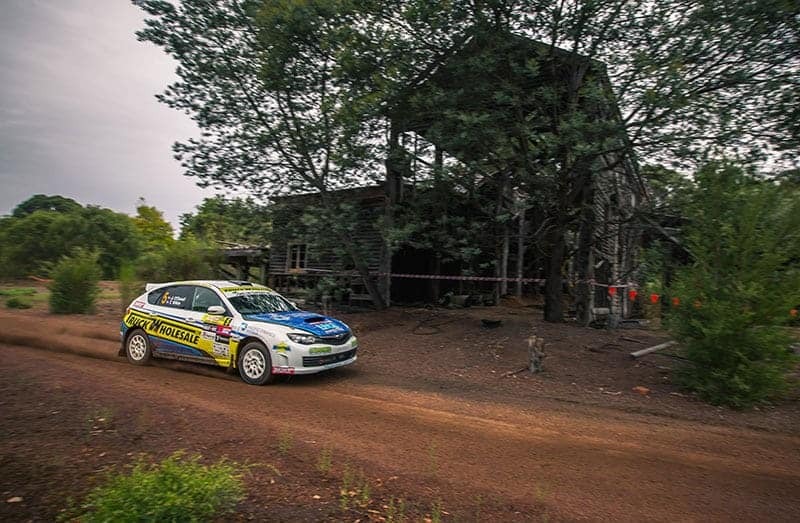 2018 is the 15th running of the tarmac rally, that takes in both spectator-friendly stages in and around Perth city and longer, faster stages north of city near Bullsbrook, Toodyay and Maryville. “It will be great to be back competing”, commented O’Dowd ahead of the four day tarmac event. “It’s now been a month since the last WARC event in Kirup, and still five or six weeks to go until the Experts Cup. “So Targa West is a great opportunity to stay ‘match fit’. Plus, I’ve had some decent results at Targa West in the past. Joining O’Dowd in the Maximum Motorsport WRX STI is the highly experienced Ben Searcy. The pair have rallied in various events over the years, and last competed at Targa West 2016 in a very different car. The ‘Make Smoking History’ Targa West begins on Thursday, August 9, and covers four full days of competition.